Wang Qiang is a professional tennis player. She is from China and is a rising star in the world of tennis. Wang has won two singles titles on the WTA (Women's Tennis Association) Tour. She reached her best singles ranking of World No. 34 on September 24, 2018. 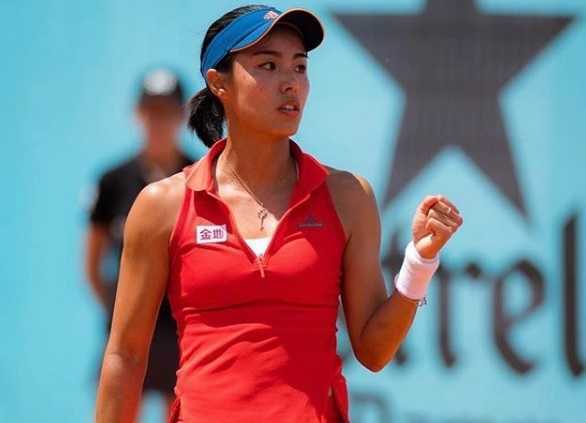 -Wang won two consecutive WTA titles in 2018. 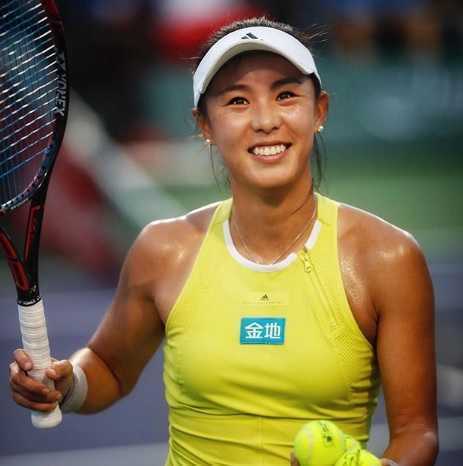 Wang reached her career-high when she reached semifinals at the 2018 Wuhan Open, China. She defeated Maria Sakkari in the first round, eight seed Karolina Pliskova in the second round, and Daria Gavrilova in the third round to win a place at semifinal against Anett Kontaveit. Wang became the first ever Chinese player to reach the semifinals at the tournament. However, Wang got injured during the semifinal match and was forced to retire following injury. Wang Qiang was born on January 14, 1992, in Tianjin, China. She grew up in Tianjin. She started playing tennis at the very young age. In 2001, Wang started playing tennis at the age of nine. The same year, she became the promotion player for the Tianjin National Tennis Center. Wang won the junior's tennis championship in China in 2006. Next year, she again won the junior's tennis championship for second consecutive times. Wang turned professional in 2006. In 2007, she officially started touring the ITF Women's Circuit in Japan. Wang's biggest achievement during her career came at the 2013 Malaysian Open. She qualified for the Malaysian Open and succeeded to defeat top seed ranking at World No. 10 Caroline Wozniacki in the first round. Wang made her Grand Slam debut at the 2014 US Open. She managed to win three successive matches in the qualifying tournament and made a spot in the main draw. Wang defeated Paula Kania of Poland in the first round. She defeated Paula Kania 6-2, 6-0. However, Wang lost to Australian Casey Dellaqua in the second round. The year 2018 has become quite a busy and successful year for Wang. She won two WTA International title this year. Wang won her first WTA title in July 2018. She defeated Zheng Saisai at Jiangxi to win her first WTA title. Two months later, Wang won her second WTA title in September. She defeated Yulia Putintseva in final dropping no more than four games in any of her matches, including performance in final. Following the win, Wang achieved her new career-high ranking. She reached World No. 34. She also replaced Zhang Shuai to become the Chinese number-one. Wang came into more limelight after defeating No. 9 ranked Venus Williams at French Open in 2018. The next week, Wang competed at the Premier 5 tournament in Wuhan. There, Wang faced and defeated three higher-ranked opponents in succession. Wang defeated Maria Sakkari in the first round. She defeated eight seed Karolina Pilskova in the second round. She then defeated Daria Gavrilova in the third round. Wang faced 2016 gold medalist Monica Puig in the fourth round. She defeated Monica in straight sets and secured a place at semifinals to play against Anett Kontaveit. But she was forced to retire from the match due to injury. Wang became the first ever player in Chinese history to reach the semifinals at the tournament. She reached another new career-high ranking at No. 28. Wang stands tall at a height of 5ft 8 in and she weights 60 kg. She holds Chinese nationality. She is a right-handed player and could play two-handed and backhand as well. She has a coach, Peter McNamara. Peter is an Australian retired tennis player. As of 2018, Wang has earned a total of $2,176,963 from competitions according to Wikipedia. She also earns from sponsorships, businesses, and promotions. However, the net worth of Wang Qiang is under evaluation. Wang defeating No. 9 ranked Venus Williams at French Open. Wang won junior's tennis championship twice in consecutive years. Wang defeated World No. 10 Caroline Wozniacki in the first round at Malaysia Open.